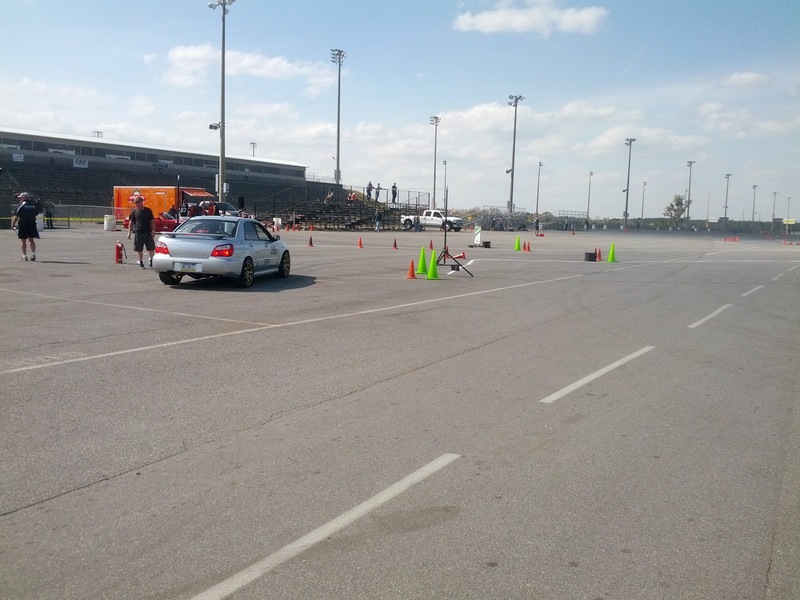 I'm pretty good at autocrossing. I win my class several times a year at local events, and I'm never far behind when I'm not first. That is at the local level, though. I recently went to a national level event to find out how fast I really am. 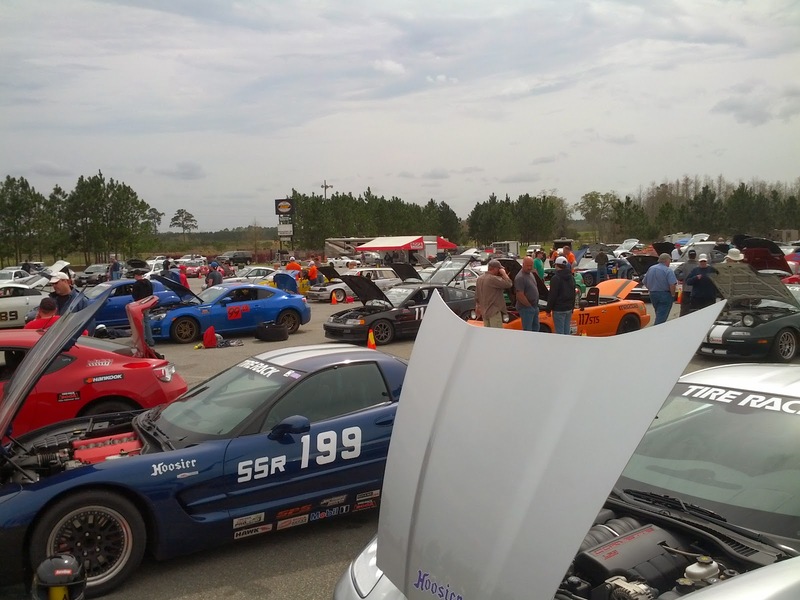 There are 10 events on the SCCA Autocross National Championship Tour. Nine regional events and the National Championship itself. The season starts with the Dixie National Tour right here in Georgia. I took my Z06 down to see how I stack up against the big boys. Friday was a test day, giving you a chance to drive on the lot and feel out the asphalt so you can make any last minute adjustments you feel are necessary. Its also a great chance to meet your competitors. One of the greatest parts of national competition are the people. While competitive, everyone is helpful and out to have a good time. I was approached by some folks who had a driver end up in a class with no other competitors something else to drive. I offered to let them co-drive with me and I immediately had new friends for the weekend (and someone to warm my tires by driving before me). Ready for Action. Hoosier race tires mounted, sponsor stickers applied, and class numbers in place. I focused my attention on prepping my car before wandering around. I had to replace my street tires with my racing slicks, put on my vinyl numbers, clean out the interior, and prep my safety gear. The paddock was a sea of trailers and cars. 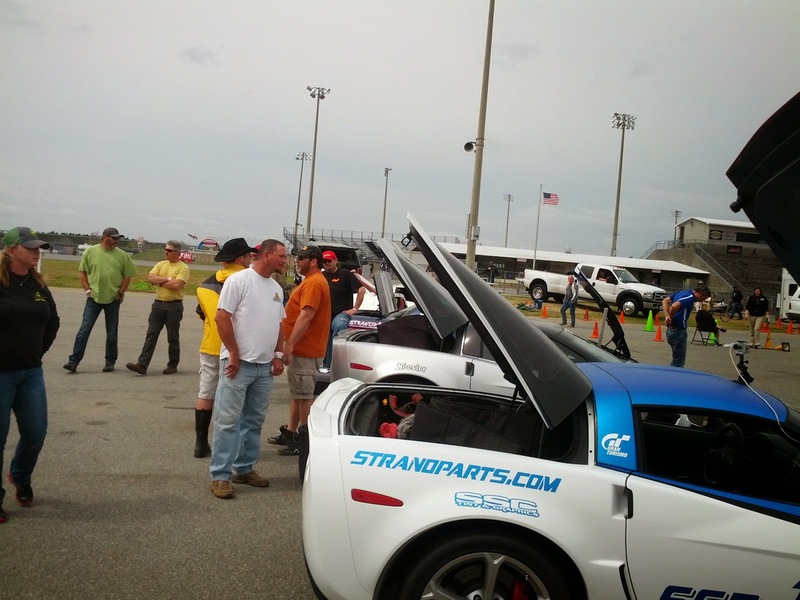 There were 281 people registered to compete. 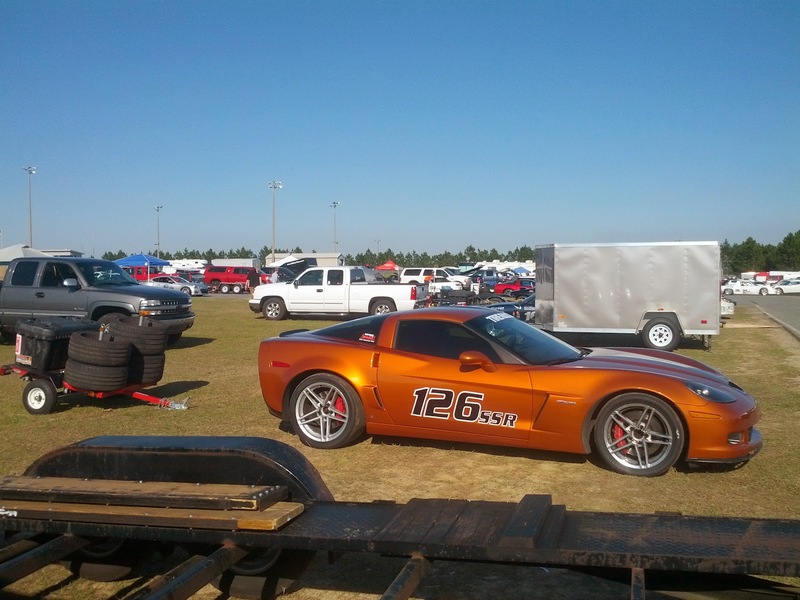 The paddock was full of custom cars, insane trailers, and excited gearheads. Some cars still had some work to be done when they arrived. 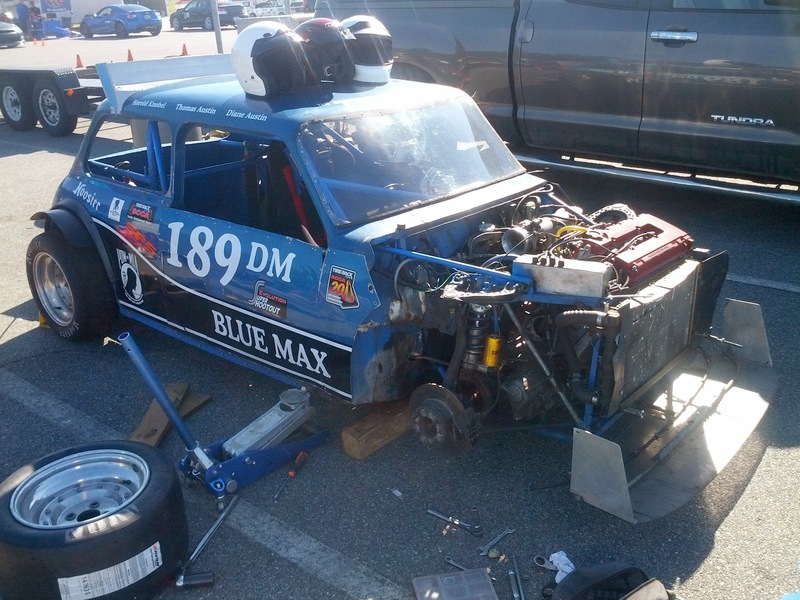 This little Honda was definitely living the track life. 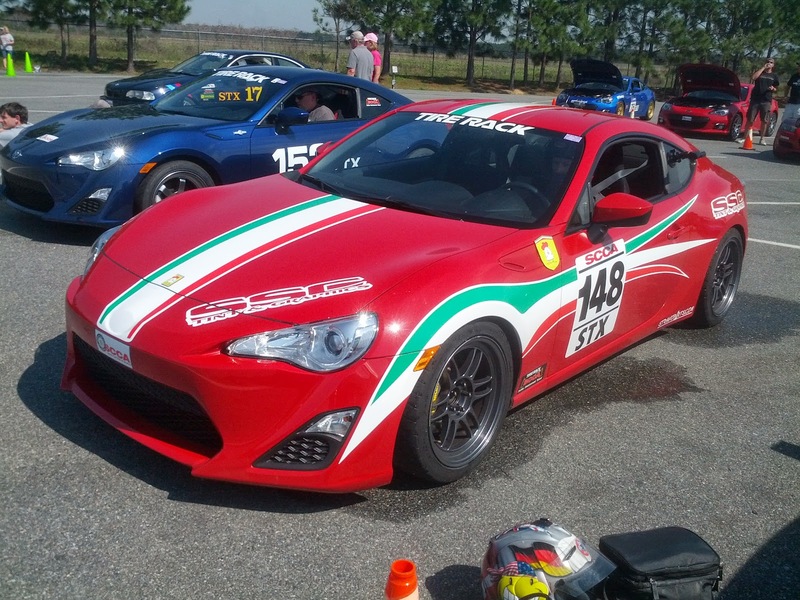 Silly Ferrari Chicken badges aside, this is the best looking FRS I have seen. Some competitors take their looks as seriously as their skills. Custom paint was in abundance, from Krylon specials to proper auto paint and clear coat. Class SSR (Super Street - Race) grid. A total of 18 drivers between 9 cars (2 not pictured). These are my competitors. 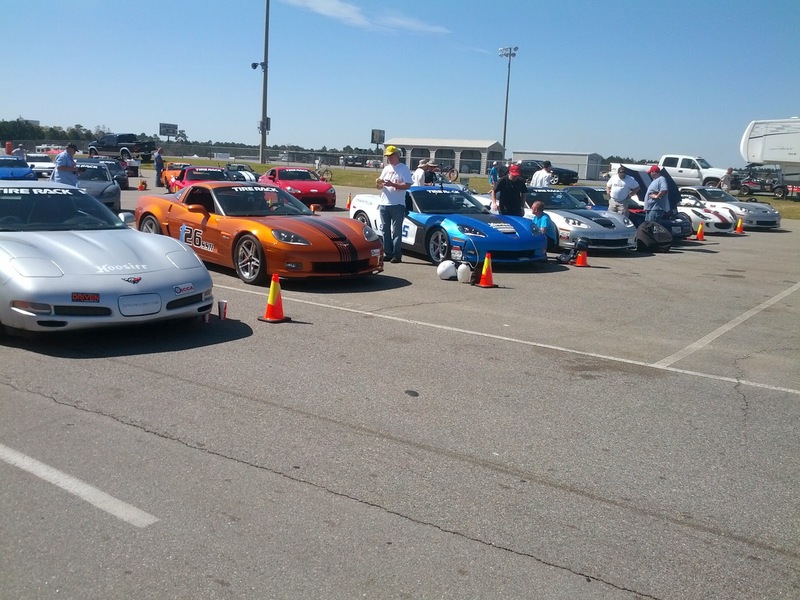 A total of 7 Corvettes, a Lotus Elise and myself. 6 of the cars had racing stripes. I thought that seemed important. My goal was to beat half of the drivers. There were multiple national champions in the line up, so I was just hoping to keep up. This was the start line for Day 1. You may go anytime after the started signals 'Go' and your time starts when your car breaks the laser sight at the second set of yellow cones (housed in the black boxes). The starting line is simple. You wait until the official starter gives you a signal, then you launch when you are ready. Your time doesn't start until your car breaks the laser sight in front of you, so you don't have to worry about reaction time from the starter's signal. Saturday brought the first day of competition. You get 3 runs and keep your best time. The Day 1 did not go great for me. None of my runs felt like I had reached my potential on the relatively high speed course. I finished 2 seconds behind the leaders in 12th, but only 8 tenths out of the trophies. I still had hope for day 2. Sunday is the final day of competition. You get three more runs on a different course and add your fastest time of the day to your best time from Saturday to get your overall time. Day 2 went much better. The flow of the course fit my style and I made up some ground. I was 7th based solely on Day 2 times, which made me pretty happy. Combing the times from both days, I finished 10th overall. That's one spot below my 50th percentile goal and about a half second out of the trophies. Not perfect, but Sunday went so well, I'm satisfied. 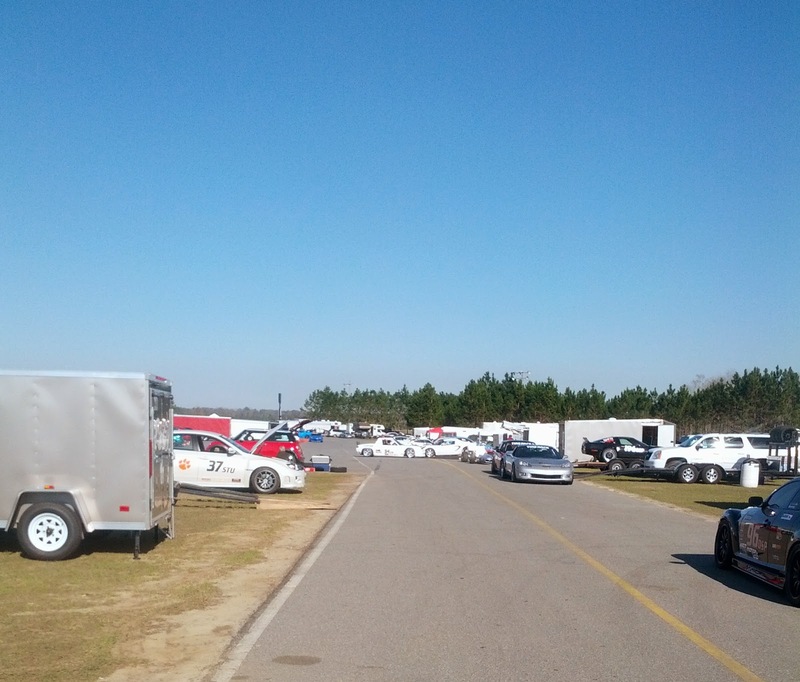 After your class finishes its runs, you are 'impounded' until the preliminary results are tallied. This takes around 15 minutes and during this time, your car must have its hood and trunk open so everyone can inspect each others' cars for rules compliance. Violations are extremely rare and this is a simple and cheap way to enforce the rules.